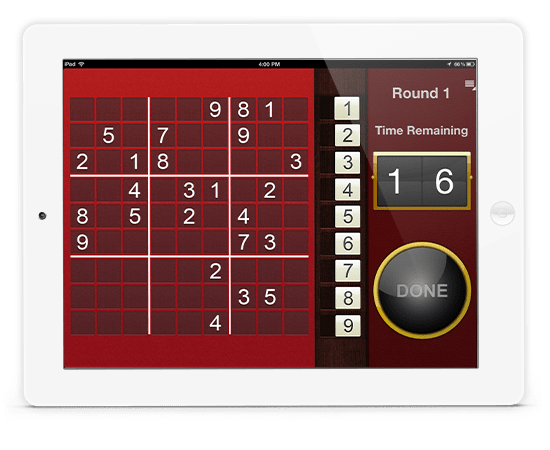 SudokuPDQ stands for Sudoku “Pretty Darn Quick.” As the name suggests, this game with a twist on traditional Sudoku requires users to solve puzzles as quickly as possible. More than that SudokuPDQ is a casino style gaming app. It offers multi-player games similar to Poker and Blackjack at a Casino where each player joins the table with a buy-in. Game includes 5 rounds each with a 20 second timer. In each round players receive a new puzzle. Player has to solve 1 number within 20 seconds. If solved correctly, the player will receive points equivalent of the time left on the clock. 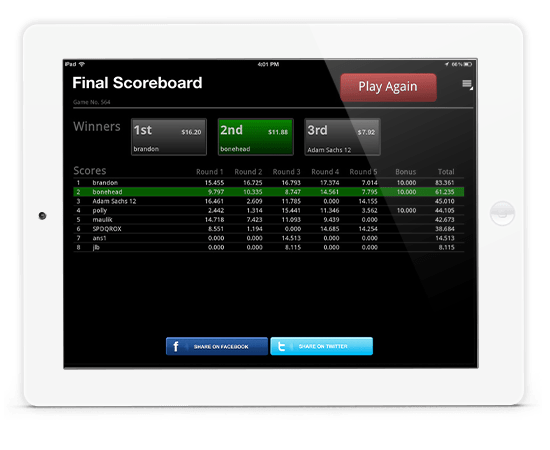 After 5 rounds, the player with the most points wins. From the total buy-in amount the house collected for the game, it retains some portion as a rake and distributes the remaining amount to winners. It was a pleasure to work with Invonto on our project, a game app for iOS and Android. The team was extremely competent and the technology worked as designed. They deftly juggled the input from our team, and provided valuable input that help us avoid several potential pitfalls in the development of our project. Invonto provided peerless service for project definition, user experience design, app development, and quality control of our project. They delivered project on-time and on-budget. We continue to work with Invonto on our game app, and have approached them with other projects as well. 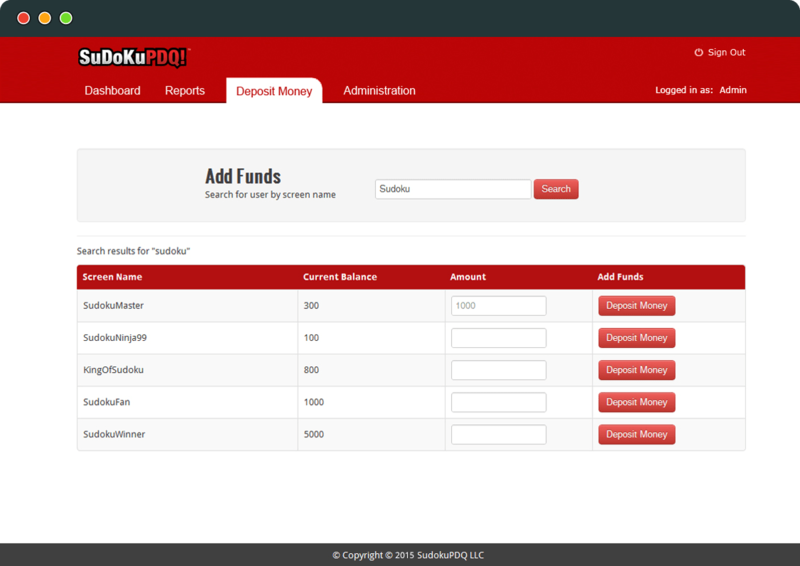 The SudokuPDQ team includes a top mathematician, Sudoku players, and casino gaming experts. They had attempted developing their application with 2 other mobile app development companies but were unsuccessful. 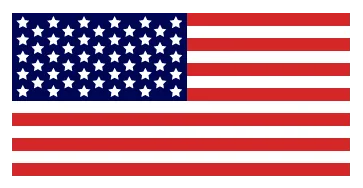 They found us through a reference of one of our other clients, Cantor Gaming, who we were helping at that time build their casino gaming platform. From our initial consultation, SudokuPDQ team found us to be a good fit for their project. Their goal was to develop an app that can be implemented at a Casino on digital gaming tables. Besides successfully developing the game app for a tablet and a building Sudoku gaming engine, the SudokuPDQ team had to work with the gaming commission to ensure that the app is approved for Casinos. 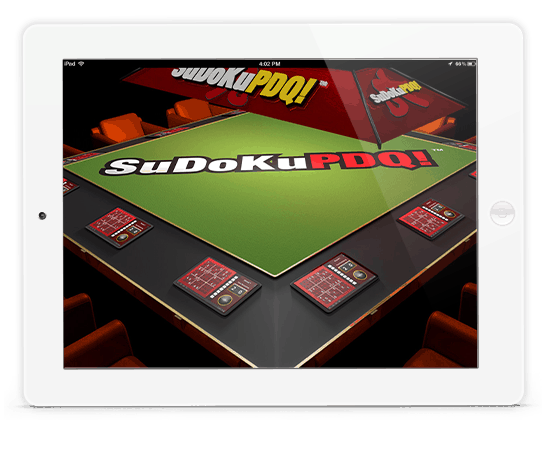 SudokuPDQ app is made up of multiple parts: gaming app for iPad, gaming app for Android tablet, game engine and server back-end built on Java platform, and a web admin portal for admin users to monitor gameplay and app analytics. Starting on the project, we first analyzed app requirements and prepared detailed user stories. Based on app requirements and considering its goal to be deployed at the casinos, we created app layouts that included a casino theme. In that process, we helped the client team validate business requirements to ensure they are not spending money on features that do not add any value to the app and its users. Having a detailed application design helped the client secure funding for the app development and marketing. 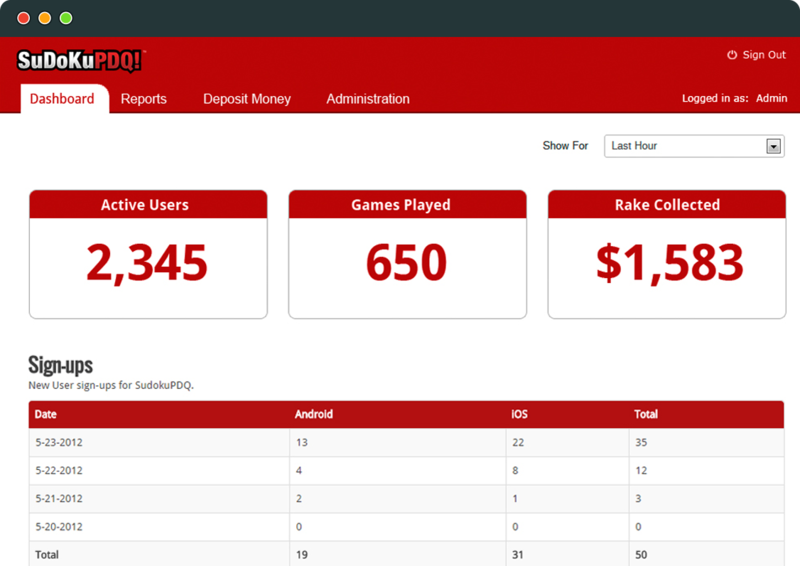 When we started developing the app, the idea was to build it for casino implementation. Though due to gaming board regulations and lack of digital gaming support at the casino, the client had to abolish the casino route and instead launch app in the app stores. As app development progressed, we worked with client team to simulate multi-player gaming environment to test the app thoroughly. After it was completed, we helped launch the app in the Apple app store and Google play. During the soft launch phase, the app received more than 50,000 download in less than a month. After unsuccessful attempts working with other mobile development companies, our client finally had a success in completing the app working with Invonto team.